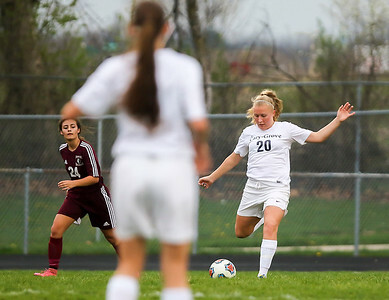 Sarah Nader- snader@shawmedia.com Cary-Grove's Olivia Covelli kicks to a teammate during the first half of Wednesday's game against Prairie Ridge in Cary April 20, 2016. Prairie Ridge defeated Cary-Grove, 2-0. Sarah Nader- snader@shawmedia.com Prairie Ridge's Josie Eriksen (left) and Cary-Grove's Payton Emond pursue the ball during the first half of Wednesday's game in Cary April 20, 2016. Prairie Ridge defeated Cary-Grove, 2-0. 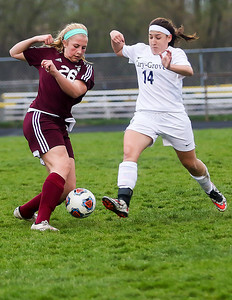 Sarah Nader- snader@shawmedia.com Prairie Ridge's Megan Walsh (left) heads the ball during the first half of Wednesday's game against Cary-Grove in Cary April 20, 2016. Prairie Ridge defeated Cary-Grove, 2-0. Sarah Nader- snader@shawmedia.com Prairie Ridge's Josie Eriksen makes contact with the ball during the second half of Wednesday's game against Cary-Grove in Cary April 20, 2016. 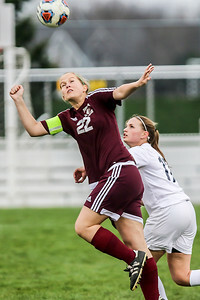 Prairie Ridge defeated Cary-Grove, 2-0. 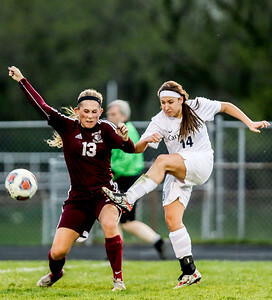 Sarah Nader- snader@shawmedia.com Cary-Grove's Payton Emond (right) kicks past Prairie Ridge's Gabrielle Fanning during the first half of Wednesday's game in Cary April 20, 2016. Prairie Ridge defeated Cary-Grove, 2-0. 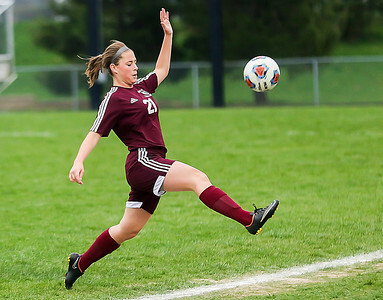 Sarah Nader- snader@shawmedia.com Prairie Ridge's Emily Perhats tries to keep the ball inbounds during the first half of Wednesday's game against Cary-Grove in Cary April 20, 2016. Prairie Ridge defeated Cary-Grove, 2-0. Prairie Ridge's Megan Walsh (left) heads the ball during the first half of Wednesday's game against Cary-Grove in Cary April 20, 2016. 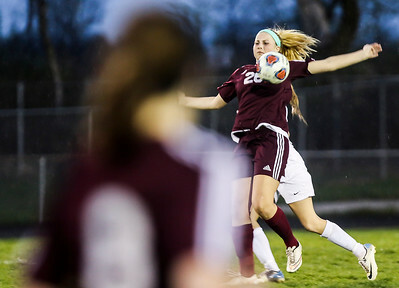 Prairie Ridge defeated Cary-Grove, 2-0.